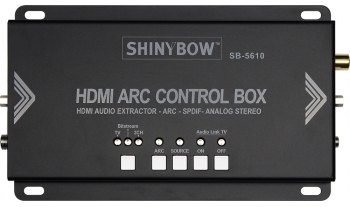 SB-5610 is a high quality HDMI™ ARC Control Box with HDMI™ Audio Extractor. 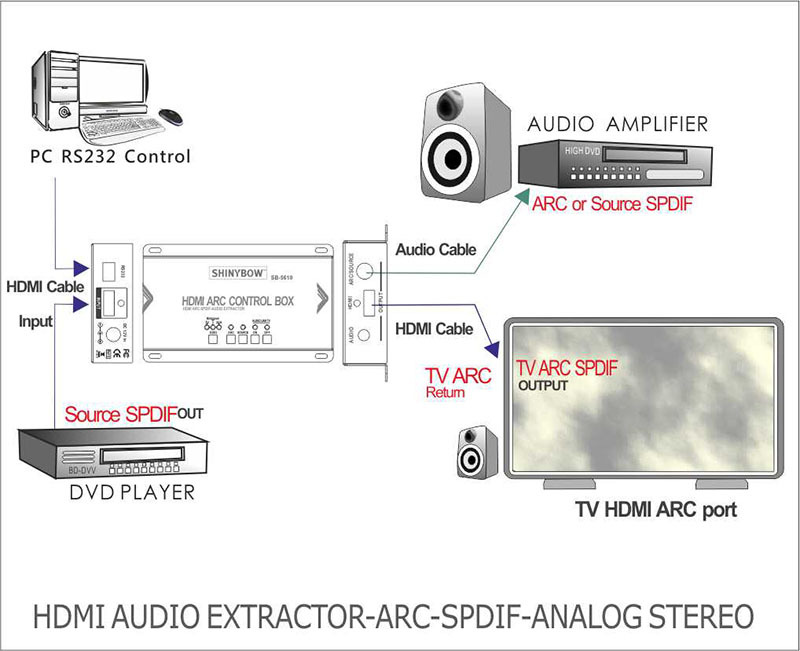 Audio are ARC, DVD Source, S/PDIF and Analog stereo. 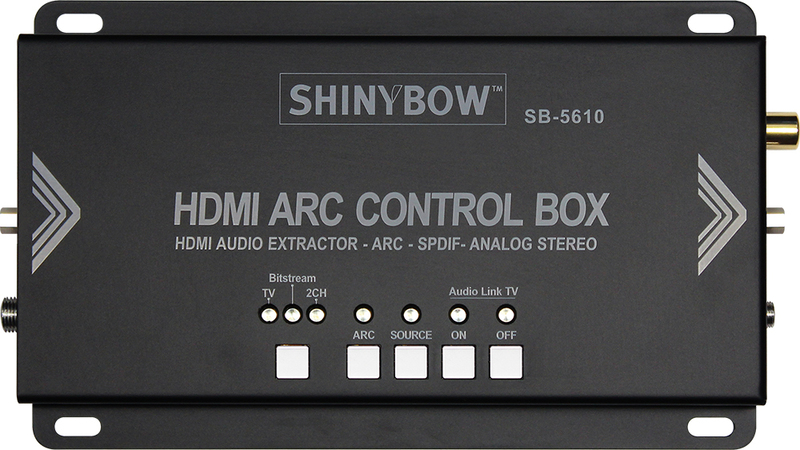 This control Box can link audio (ARC or Source S/PFID) to TV or Audio Amplifier and turn ON/OFF the TV or Audio Amplifier speaker. 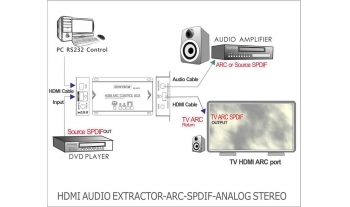 The Audio Extractor support HDMI™ Repeater and Equalizer between HDMI™ player and display. 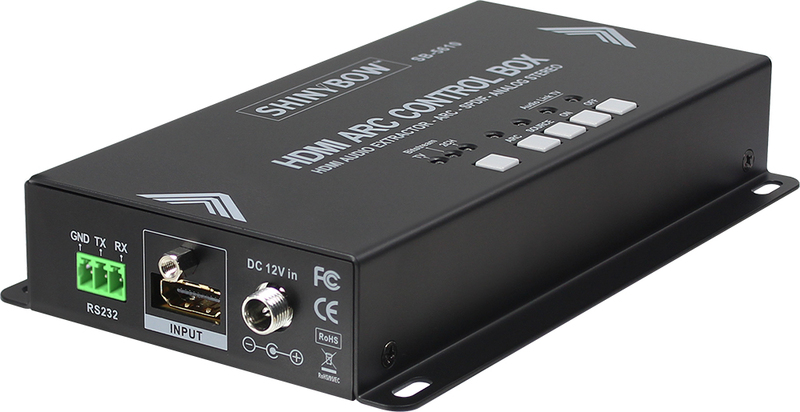 SB-5610 supports HDMI™ 1.3, HDCP 2.0 and DVI 1.0 compliant, HDMI™ 1.4a, 3D formats. Audio support PCM 2-channel IIS/DSD, S/PDIF and HDMI™ outputs, Video support 36 bits Deep Color up to 1080p-60Hz (225 MHZ). 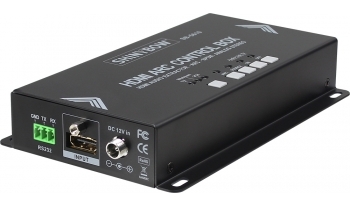 This device allows you to extract analogue audio LPCM2 and digital audio S/PDIF from the HDMI™ signal while still sending the original audio video signal to your HD devices. When using a display without speakers you can still extract the analogue audio to external speakers or digital audio to an Amplifier.